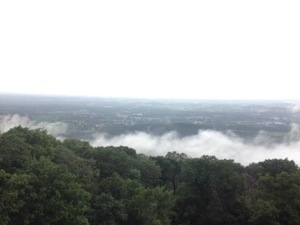 The last journal entry posted by Fat Hen and Rooster was made on June 20 from Pine Grove Furnace State Park, Pennsylvania, but they have submitted several photographs dated July 9 reflecting the major climb out of Palmerton, PA. While I wait for an update from them, let me share a few of their pictures and their encounter with some ice cream. On June 20, the young couple from the state of New York arrived at the convenience store at Pine Grove Furnace. This legendary country store is home to the half-gallon challenge. 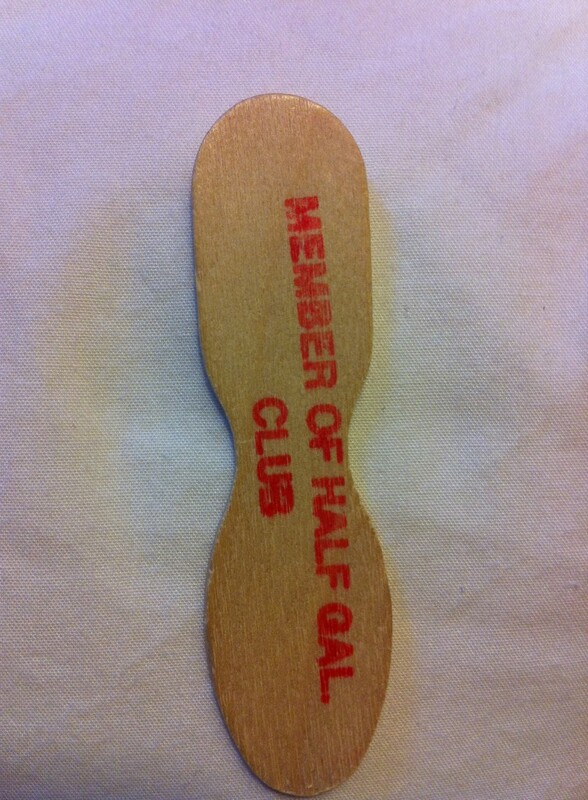 Located very close to the actual half-way point of the Appalachian Trail, the store encourages thru-hikers to take a symbolic challenge of eating a half-gallon of ice cream to celebrate the half-way marker. To the victor goes the right to sign the store register and receive the coveted, commemorative, wooden spoon. Dan and Becky had no problem conquering the frozen dairy challenge laughing in the face of the obstacle. To be sure of the undisputed victory they added an additional pint of ice cream to make up for the now 1.5 containers passed off as half-gallons by stores across America. Their choices from the dairy case were rather surprising to me. Becky selected chocolate/vanilla with caramel swirl plus a pint of peach. Dan combined his 1.5 quarts of banana marshmallow swirl with vanilla wafers with a pint of blueberry cheesecake. I love ice cream but these flavors seem to defy mixing well in the digestive juices of one’s stomach. The cost of the two wooden spoons was $20 worth of frozen desserts. 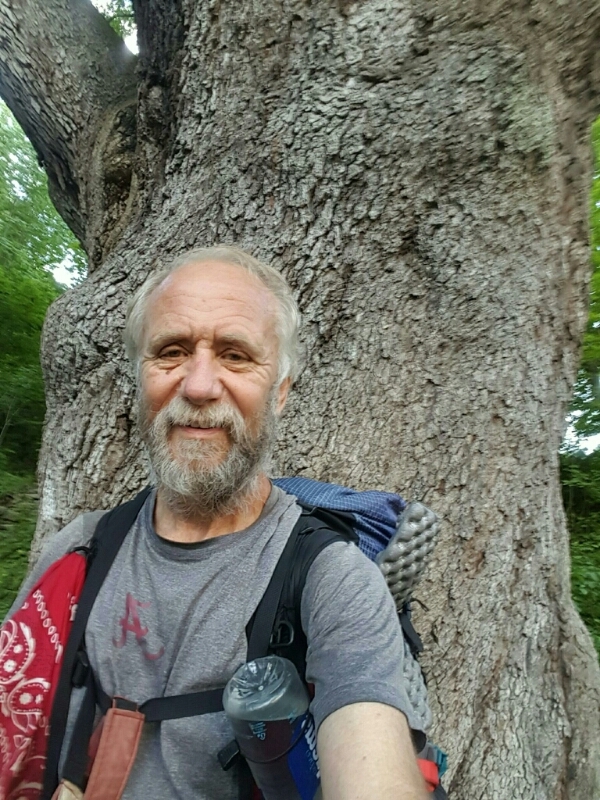 To reflect their thru-hiker spirit and AT attitude, Rooster shares that they had trouble talking themselves out of another ½ gallon to celebrate the ½ gallon victory! They walked away from Pine Grove Furnace with smiles on their faces, full bellies, and wooden prizes along with their names in the book of legends. Here are a few photos that they have posted since their ice cream adventure. 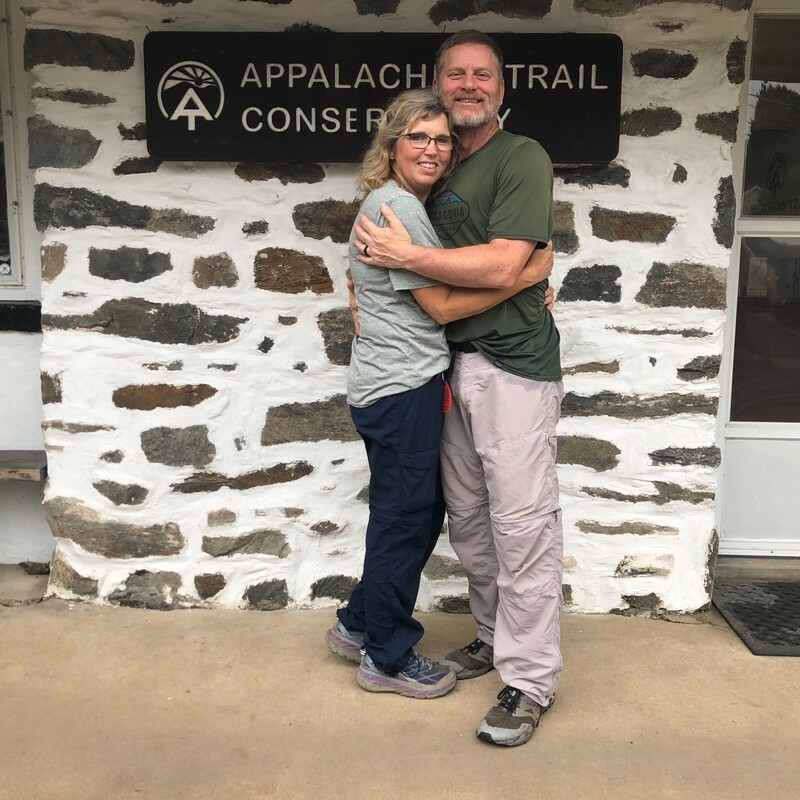 The pictures posted on July 9 document their arrival at Palmerton, PA and their climb out of Lehigh Gap, one of the most difficult rock climbs on the trail. The pictures were posted on July 9 but I am not sure when they actually passed through the area. The distance from Pine Grove Furnace to Palmerton is 156 miles, leaving only 36 miles left of Rocksylvania. I anxiously await their next update.